Mother of pearl is the shiny layer on the inside of some shells. 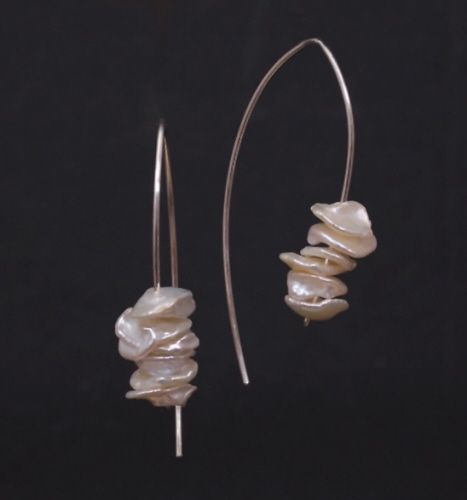 The large focal beads used here are mother of pearl taken from the inside of the Nautilus shell from the Philippines, they measure approx. 45 mm x 30 mm. 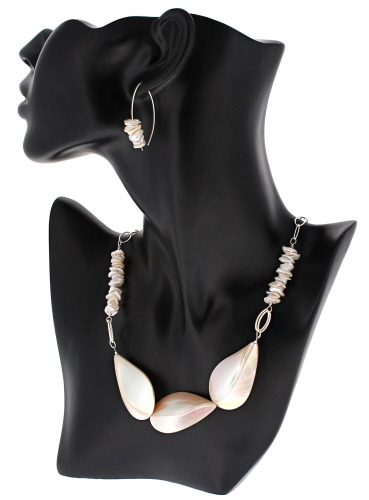 Keshi freshwater pearls, !00% nacre in composition, high in luster and a shimmering surface quality. A bi-product of the culturing process, and not a natural occurrence. ... Both have been combined here with sterling silver to complete this necklace / earring set. 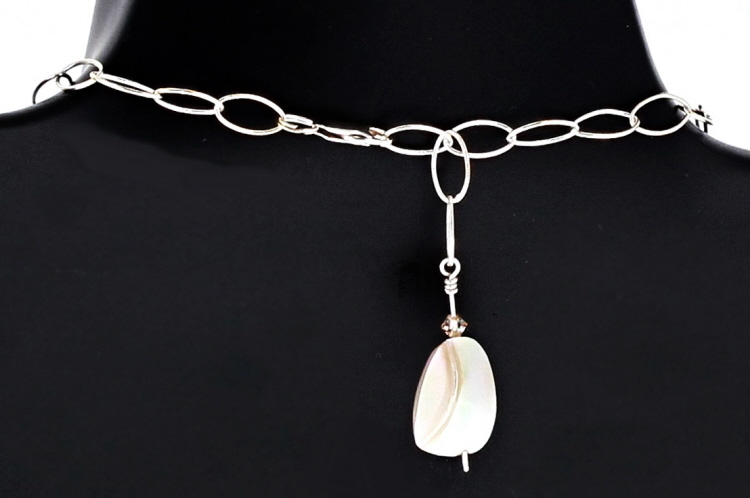 Necklace length of 20 inches allows a chain with bead dangle to hang centered at back of neckline. Adjustable from 17 - 21 inches, if preferred. Weight is 1 oz. 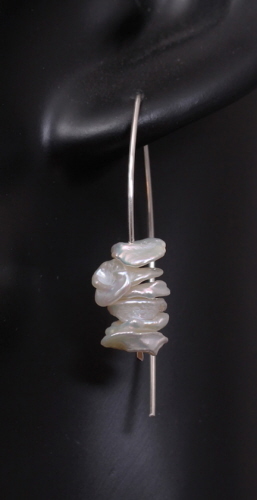 Earrings measure 1½ inches, weighing less than 0.1 oz each. Earwire is hand formed using 20 gauge argentium wire, hammered flat at bottom, front, to hold the pearls.